In light of increasing interest in mobile-assisted language learning (MALL) and recent calls for more replication studies in second language research, the present study aimed to develop and validate an attitudinal instrument to measure language learners’ attitudes towards MALL. In doing so, the present study partially and conceptually replicated Vandewaetere and Desmet’s (Comput Assist Lang Learn 22(4):349–380, 2009) computer-assisted language learning attitude scale. 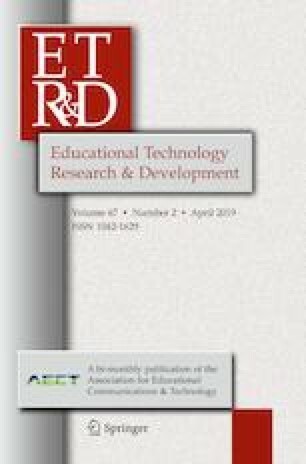 The attitude towards MALL (A-MALL) instrument, consisting of 20 items, was validated across a sample of 244 participants with diverse educational and demographic backgrounds. Principal components analysis and confirmatory factor analyses were conducted to examine the psychometric features of the items, and to determine the underlying factor structure. The results revealed a five-factor solution, which was largely in line with the tripartite model of attitude (i.e., affective, cognitive and behavioral components). Further, the A-MALL instrument exhibited good reliability and validity. Finally, the limitations of the study and the future use of the A-MALL instrument in second language research are discussed. Stockwell, G., & Hubbard, P. (2013). Some emerging principles for mobile-assisted language learning. Monterey, CA: The International Research Foundation for English Language Education. Retrieved from http://www.tirfonline.org/english-in-the-workforce/mobile-assisted-language-learning.